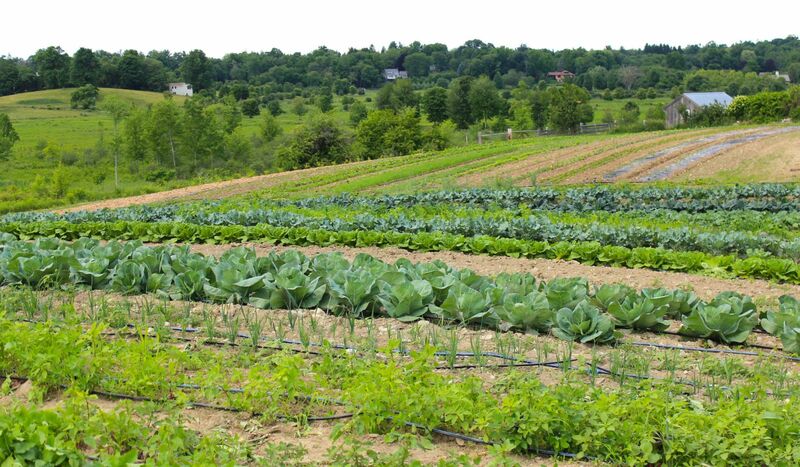 The Gibbet Hill Farm is located on 80 acres in Groton, MA. While traditionally a Black Angus cattle farm, we have expanded to grow produce for our restaurants and other businesses within the Webber Restaurant Group. Today, over three acres of produce is growing specifically for our chefs’ use. We grow several varieties of heirloom tomatoes, raspberries, blackberries, kale, heirloom beets, edible flowers, radishes, greens, peppers, beans, Swiss chard, specialty onions, herbs, and many other crops. We have a beehive that pollinates our field as well as provides honey for the restaurants. In 2015 we planted our first heirloom apple trees and blueberry bushes, which should both start to produce in a few years. For a history of Gibbet Hill Farm, click here. 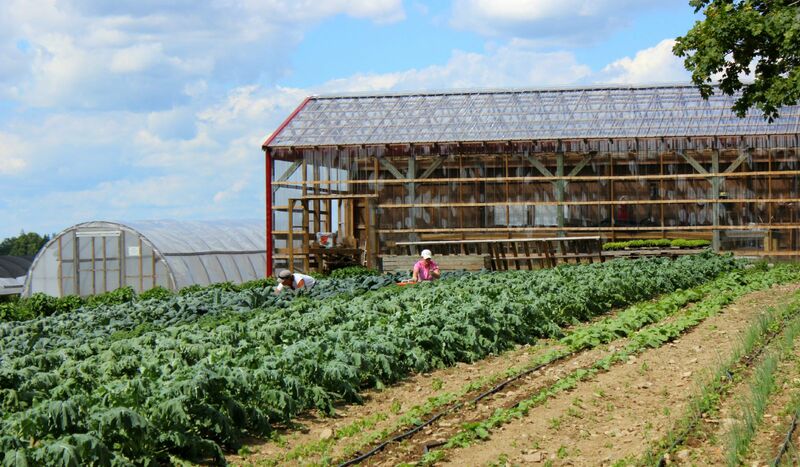 We use passive solar hoop houses in our fields that allows us to grow spinach, kale, and salad greens through December, and start harvesting again in April. Our chefs use traditional canning and pickling techniques to preserve any excess produce for use in the winter. 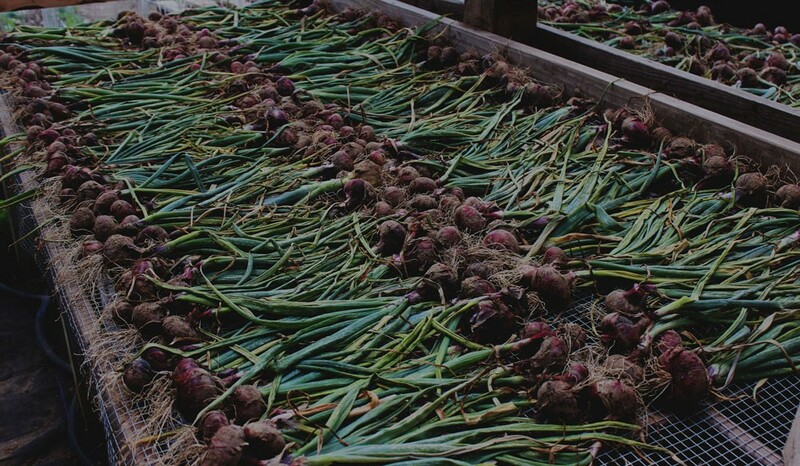 A number of our crops are grown in abundance and are preserved through drying methods in our greenhouse. During spring, we acquire lambs and raise them on the farm during spring and summer in a free-range pasture. In addition to their ample grazing space, the lambs are served vegetable scraps created from the prep cooks in our kitchen. 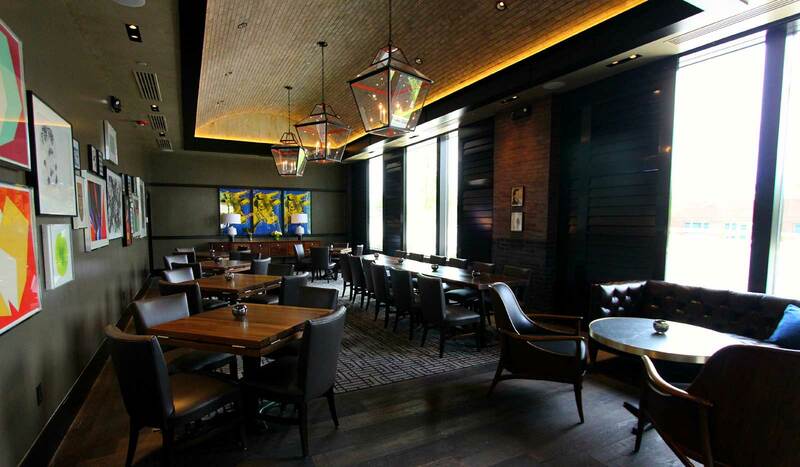 At the end of summer, they are taken to Blood Farm in Groton to be processed and then returned to Gibbet Hill Grill to be served at the restaurant. These lambs are born, raised, processed and consumed in town of Groton, Massachusetts, making their carbon footprint virtually zero. 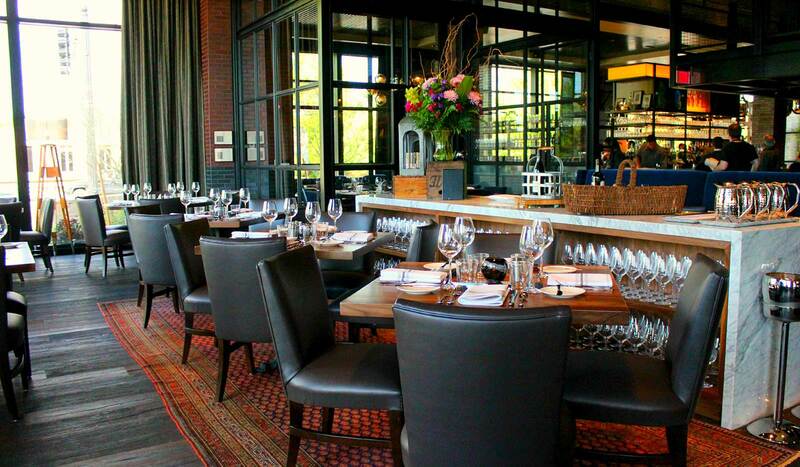 For over 60 years, Gibbet Hill has been home to a herd of award-winning Black Angus cattle. 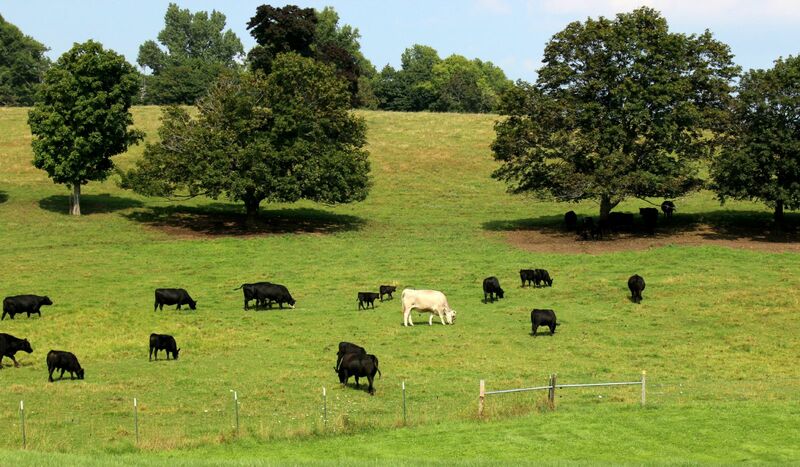 While herd size is not nearly large enough to supply the steaks for our restaurant, we do serve Gibbet Hill Black Angus ground beef in our burgers at Gibbet Hill Grill and the Fruitlands Museum Café. Trails starting at Gibbet Hill Farm lead up to the top of Gibbet Hill, the tallest point in Groton with sweeping views of the Merrimack Valley. Trails are open from sunrise to sunset. For a trail map, click here. The Gibbet Hill Farm is located on 80 acres in Groton, MA. While traditionally a Black Angus cattle farm, we have expanded to grow produce for our restaurants and other businesses within the Webber Restaurant Group. Today, over three acres of produce is growing specifically for our chefs’ use. We grow several varieties of heirloom tomatoes, squashes and zucchini, heirloom beets, edible flowers, radishes, greens, peppers, beans, Swiss chard, specialty onions, herbs, and many other crops. We have a beehive that pollinates our field as well as provides honey for the restaurants. One of the goals of the farm is to expand the growing season so that local produce can be used in our businesses year-round. We accomplish that using a number of traditional techniques that allow us to extend the local food season into a twelve-month cycle. In the winter, we use a passive solar hoop house in our fields that allows us to grow spinach and salad greens well into December, and start harvesting again in April. Our chefs use traditional canning and pickling techniques to preserve any excess produce for use in the winter. 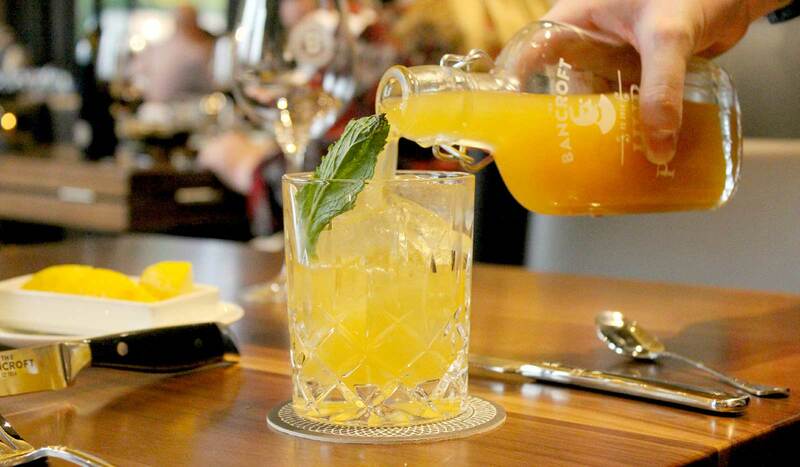 We serve honey during the winter months that has been harvested from our own bees. 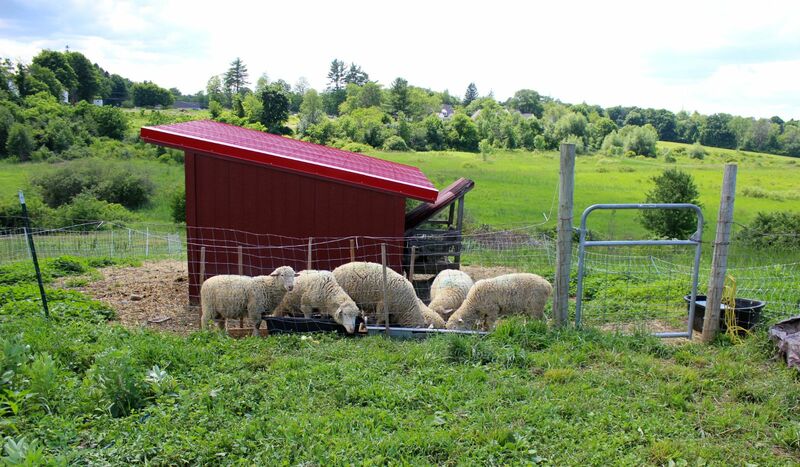 During spring, we acquire lamb and raise them on the farm during spring and summer in a free-range pasture. At the end of summer, they are taken to Blood Farm in Groton, to be processed and then returned to Gibbet Hill Grill to be served at the restaurant. These lamb are born, raised, processed and consumed in town of Groton, Massachusetts. In addition to regularly supplying our restaurants and catering company with produce, we also hold a number of farm dinners each growing season. These dinners, which take place in the Barn at Gibbet Hill, are sourced almost exclusively from our fields. They are an opportunity for our customers to tour the farm and see our current crop, talk with our farmers and farm partners, and enjoy a hard earned meal with the people that are responsible for growing it. For information on our farm dinners and to be notified when one is coming up, please follow us on Facebook or sign up for our email notifications. 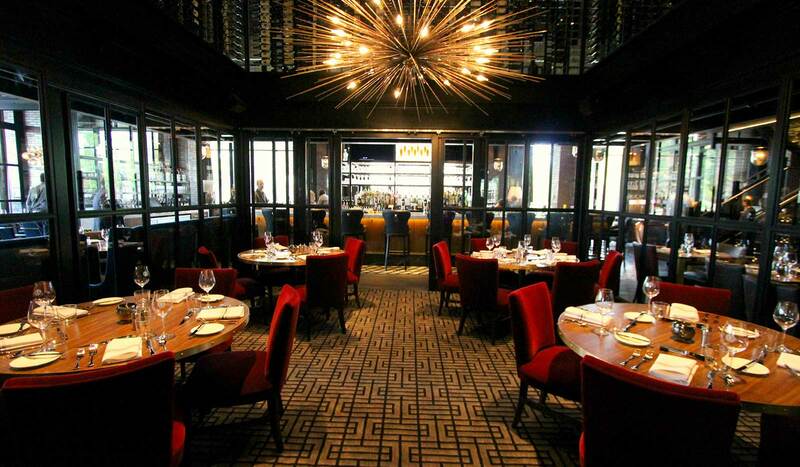 This large table is located within the dining room and is enclosed with steel and glass walls to connect to the activity of the restaurant but also afford privacy. 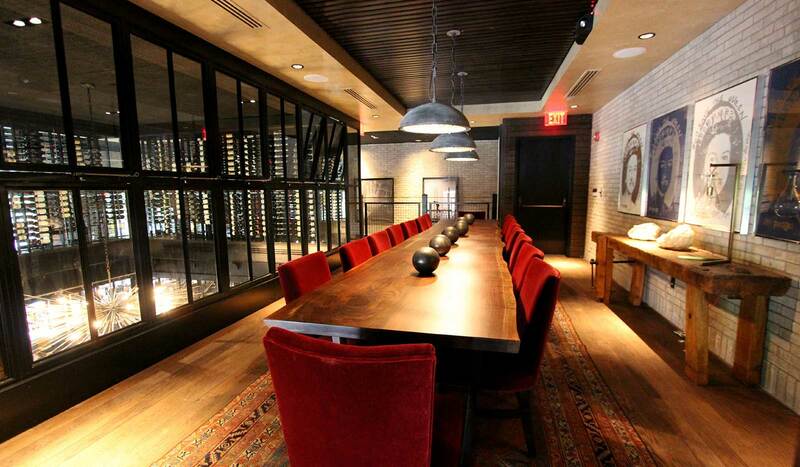 Our wine room grand table is located on the mezzanine level, beyond a steel catwalk holding our wine collection. 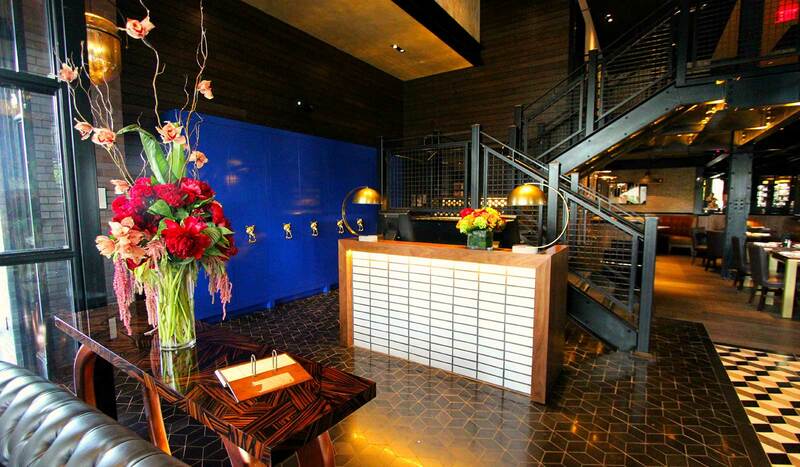 This is one of the most interesting and unique rooms around, and the catwalk is an ideal cocktail location for drinks before dinner. Our largest room is both beautiful and versatile. A variety of seating options and configurations will suit many occasions. This room has a large TV for presentations, and can be completely obscured from the dining room for privacy if needed. Centered in the dining room is another truly unique space. 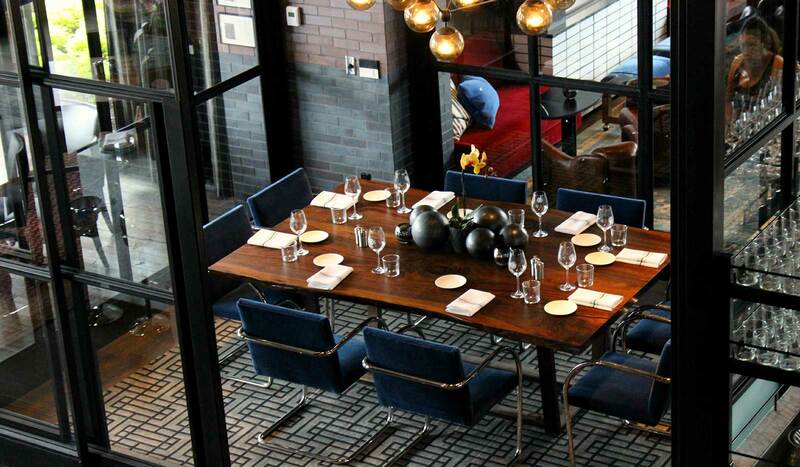 24 people, seated at 4 tables, enjoy dramatic décor and great views of the activity in the dining room. 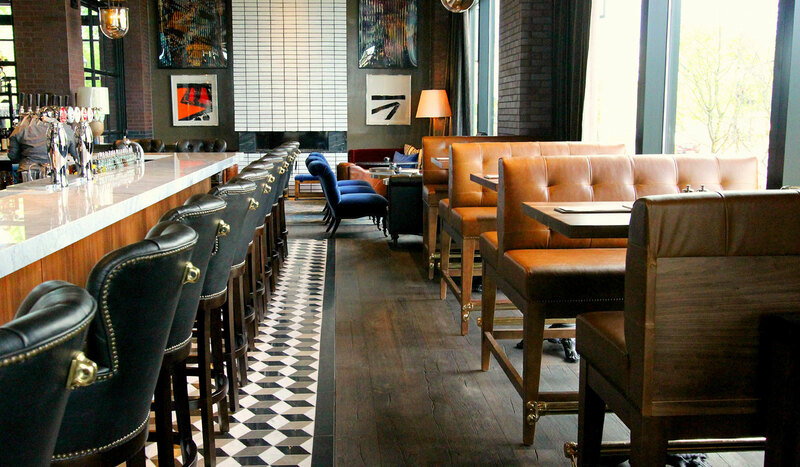 A section of the main bar is adjacent to this room and can be roped off for exclusive use by the party. Kayleigh grew up in rural Vermont before making her way to Boston Harbor Islands where she worked as a park ranger. It was on Peddocks Island that she started her own garden which kickstarted her love of working outdoors and growing food. Kayleigh then moved on to Gaining Ground in Concord, where she honed her growing skills and managed groups of volunteers of all ages and abilities. One of Kayleigh’s favorite plants to grow is spilanthes; also known as the ‘toothache” herb, she plans to grow a patch at Gibbet Hill Farm in the 2017 growing season. Farming finds its way into Kayleigh’s spare time as well where she finds herself preserving food and growing plants to use as natural dyes. Since her mom grew up on a dairy farm in Wisconsin, you’d think Maria’s path to assistant farm manager was a simple one. However, after completing a double major in theology and philosophy and a minor in mathematics at Thomas Aquinas College, she taught math at the junior high and high school levels. After several years of teaching, she found her interest in food and farming growing. After training as a pasta maker under Chef Michael Pagliarini, she apprenticed at Temple-Wilton Community Farm. Directly after apprenticing, she headed up a small vegetable production at Zero-Mile Farm, and soon after, found her way to Gibbet Hill Farm. Maria loves singing choral polyphony and cooking in her spare time, but further expresses her love of outdoors by hiking as often as she can.